I don’t know if we’ll actually ever be able to travel back in time physically, but music definitely has the ability to bring me back to my room as a kid discovering new music for the first time. I can literally recall the moment I discovered the brilliant combination of synthesizers and punk ethos on Gary Numan‘s “Cars” or the clang of wiry feedback on The Jesus And Mary Chain‘s “Just Like Honey“. 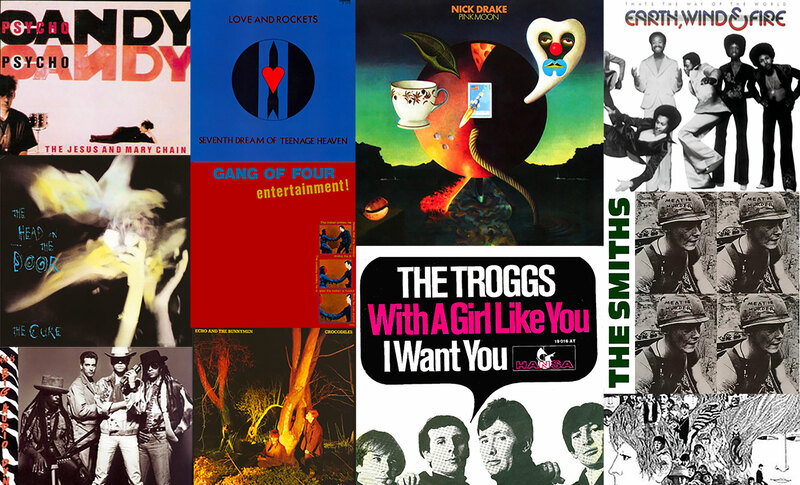 In some way or another, all of these songs in my ‘Early Influences’ playlist had a huge impact on me as a musician early on and eventually made their way into my productions and mixes. Whether it’s the ultra-dead 70’s drum sound on Fleetwood Mac‘s “Dreams“, the gorgeous & atmospheric guitar on the Cocteau Twins‘ “Lorelei“, the combo of psychedelic tape loops and sitars on The Beatles‘ “Tomorrow Never Knows” or hearing the flesh of Nick Drake‘s fingers touch the strings on ‘Pink Moon‘ — every song has special qualities that have been a huge inspiration. Enjoy!